Great Britain forward Colin Shields says tonight’s game against Italy will be a “massive test” as GB go in search of their third win in fourth matches at the World Championship Division 1 Group A in Budapest. “Italy are a top-quality hockey nation and this will be a really tough game for us,” said the Belfast Giants forward. “But we are showing we have a right to be at this level by our performances so far. “I have been involved in many tournaments for GB but I have to say this is one of the more enjoyable,” continued Shields. 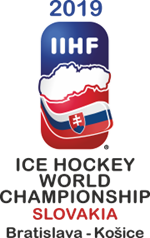 GB against Italy faces-off at 7:30pm this evening (6:30pm UK time).